Are you a chunky and heavy person? Or maybe just a bit overweight and chubby? Either way, you need a solid and strong chair that will not only hold your weight, but also allow you to comfortably fit in and sit without any pain or pressure. There are few models of ergonomic chairs that I can recommend for big users. Your weight is above 300 or 400 lbs? Don’t worry! 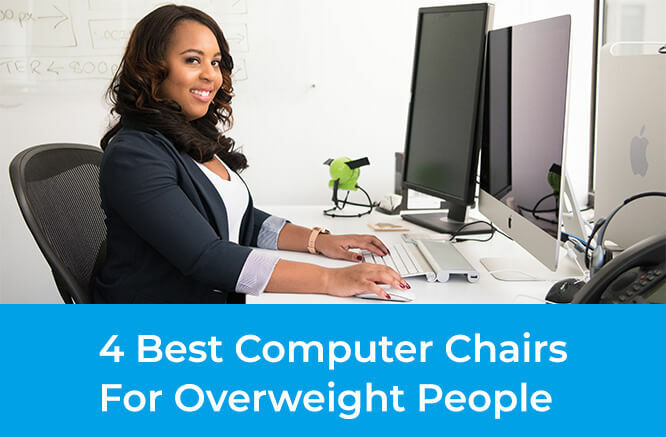 Here are the best computer chairs for overweight. With these models even a big (and tall) guy will be able to spread his legs and sit comfortably for many hours. The first place in our ranking goes to Space Seating Big & Tall Chair which combines useful features and high weight limit with pocket-friendly price. Let’s see what this model can offer you. The weight capacity is 400 lbs so it will be enough for a person with large frame and/or overweight. Thanks to strong base the chair stays stable even when heavy person sits on it. The seat is wide and deep and the cushion is really thick to provide good amount of firmness and support for people with large thighs and buttocks. This chair was designed for average in height and tall users. I’d say it’s most comfy for those who are above 5’10’’. If you big and tall at the same time this model will be great for you. Even 6’7’’ tall people find this chair very supportive and comfortable. The size and weight capacity of the chair are very important, but you’re probably wondering what functions it has, right? Well, Space Seating Big & Tall Chair is equipped with S-shaped backrest and adjustable lumbar support. You can move it up and down to find the best position for your lower back. Amazing! It’s a rare feature at this price point – big plus for this chair. Moreover, there are 2D armrests that slide up & down and inward & outward. It’s really useful function because you can adjust armrest, depending on how long your arms are. Besides, chunky people often complain that armrest dig into their hips or belly. This computer chair for overweight solves this problem – thanks to width-adjustable armrests. One more great thing is breathable mesh cover on the seat and backrest which won’t cause you sweating even if you spend many hours per day on sitting at the desk. This is the cheapest model in our ranking for those who are on a budget. Flash Furniture HERCULES Series Big & Tall Chair is quite different from the previous model. 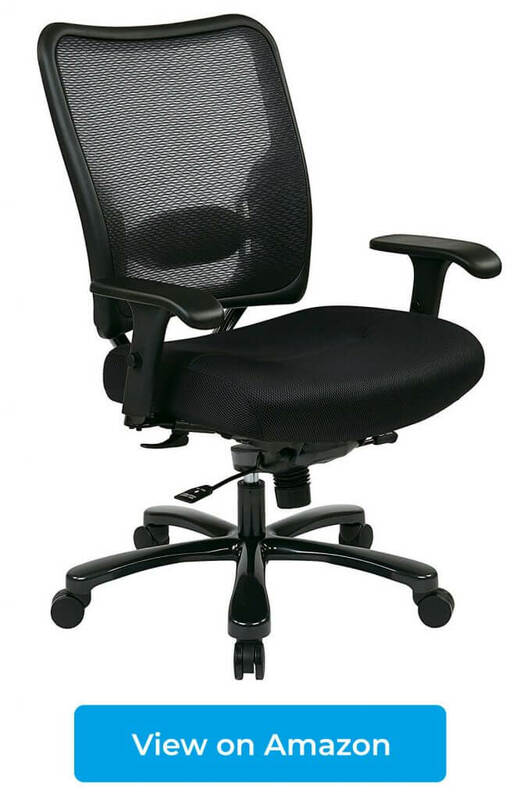 Here’s what distinguishes this ergonomic desk chair for overweight people. Strong metal base was designed to hold up to 500 lbs! Even with such a heavy user this chair is sturdy and well-balanced. It’s the highest weight capacity I’ve seen! This is definitely a great computer chair for overweight people. Backrest has rounded lower part to support user’s lumbar spine. Moreover, you can adjust the firmness of that support by turning a knob. 250-pound female needs a different amount of back firmness than 400-pound male, so it’s an awesome feature. On the lowest setting you will barely feel it, while on the highest setting it will be hard and very firm. I only wish the lumbar support was movable, but at this price point we can’t complain actually. Armrests are non-adjustable, but you can flip them up, if you’d like to have armless chair. It may be not only useful when you’re working at the desk, but the chair also takes up less space when not in use (you can easily shoved it under the desk). Keep in mind the arms are not height or width-adjustable, some customers complain about it. 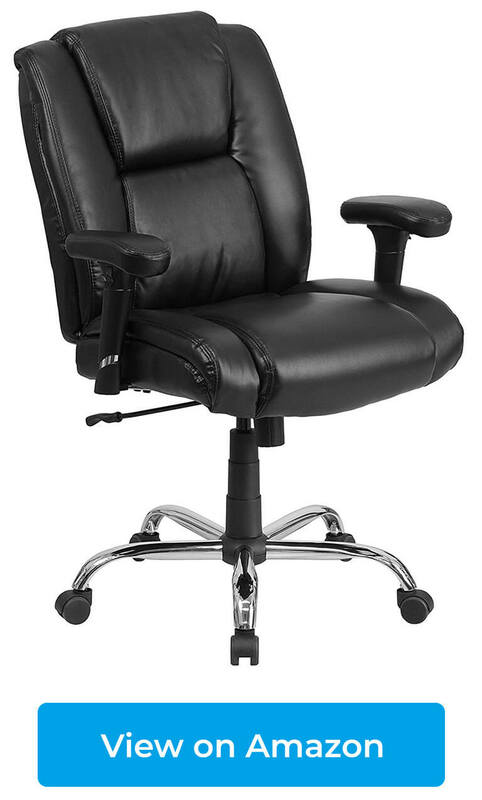 Other great features include broader seat and backrest – even tall and heavy users (like 6’3’’ and 420-450 lbs) find this chair roomy and comfy. Besides, it is covered with mesh for improved breathability (notice that you can choose mesh fabric or PU leather for seat). I have to mention one more thing: there is waterfall front seat edge reduces the pressure on the back of your legs, improves blood flow and decreases the risk of numbness and cramps). According to many customers on Amazon this chair is wide and roomy enough for big and tall people (above 5’10’’). Lots of users praise its durability and quality. 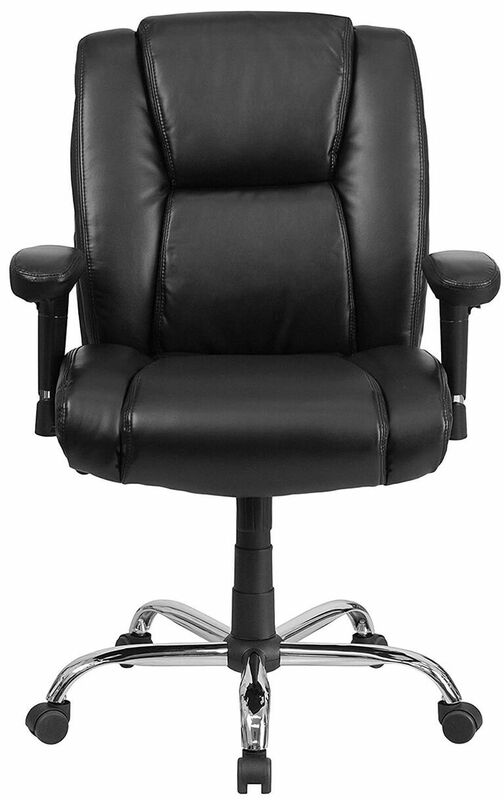 Adjustable lumbar support is one more feature that customers love and it ensures comfort during long hours of sitting. Let’s take a look at sizes of DXRacer chairs. DXRacer King has capacity of 300 lbs and height limit of 6’2’’. It’s the best choice for average in height and chubby person (sweet spot 5’9’’ and 275 lbs). DXRacer Sentinel is designed for even bigger user: up to 350 lbs and 6’6’’ (sweet spot 6’ and 325 lbs). 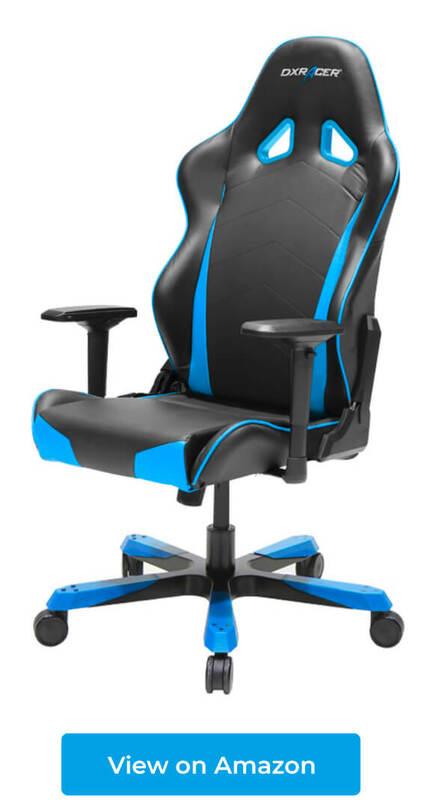 DXRacer Tank is the biggest model and it’s designed for really massive person. The weight limit is 450 lbs, while height limit is 6’7’’ (sweet spot 6’1’’ and 425 lbs). As you can see with these three computer chairs all heavy people with different body types can find proper chair for themselves. 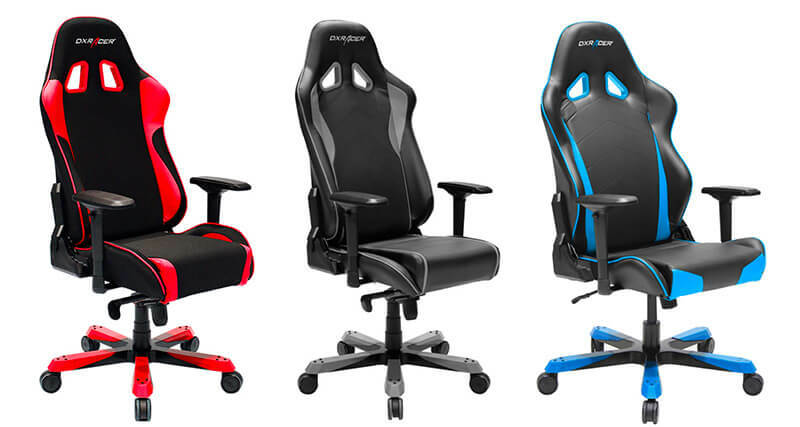 I really like that DXRacer gives us these recommendations – it really makes choosing a chair more simple. Now it’s time for functions. 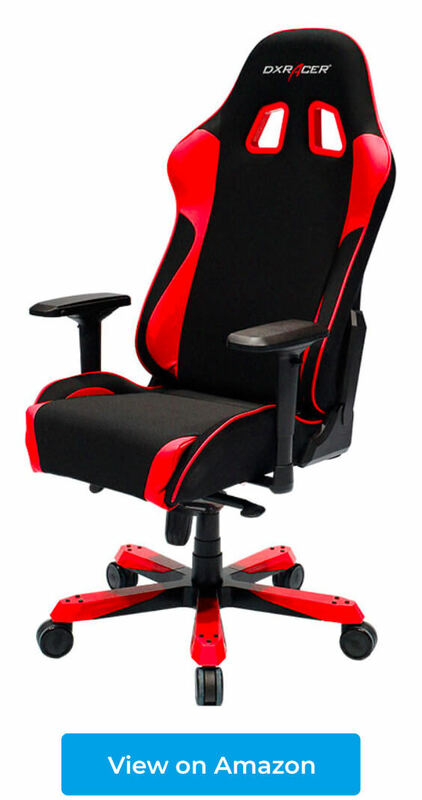 All these DXRacer chairs have few similar features. First of all, you can recline the backrest separately from the rest of the chair. It goes almost fully flat so you can even nap on it (120 degrees on Tank and Sentinel, 135 degrees on King)! Standard office chair don’t give you that option. Moreover you can rock back and forth and even lock the chair in tilted position (thanks to multi-functional mechanism). Great function when you want to take a break from working and relax. DXRacer King, Sentinel and Tank have 4D armrest. You can fully adjust them by moving up & down, inward & outward, back & forth and pivoting them from left to right. Whether you’re writing, typing, drawing, holding a book or game pad you will find a comfortable and supportive position for your arms and avoid wrist fatigue. Your neck and shoulders will thank you as well. Great thing about this computer chairs for overweight people is that they have high backrest. And they come with 2 pillows: for lumbar and neck support, which you can move up and down. If you often experience back or neck pain during working or studying at the desk for many hours – these chairs will solve your problem. Tension in your back, shoulders and neck will be reduced and the pillows will help you to keep healthy posture. And if you worry these chairs don’t look elegant or professional – please don’t! Just check out how many color versions you can choose from. Each model is also available in fully black version which looks really sharp. 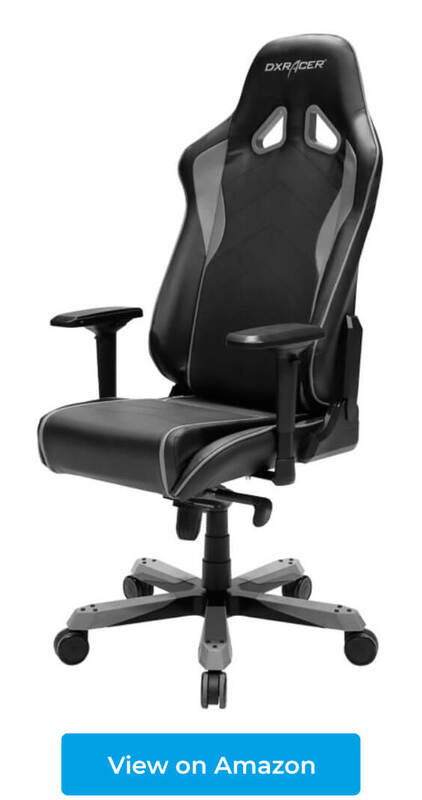 I personally use DXRacer chair (black) in my home office and it looks awesome. And what’s most important it has helped me with back and neck pain. There’s one nitpick that I have to mention – if you want to buy DXRacer King, Sentinel or Tank you’ll need bigger budget (even up to $600). Why you should consider buying one of DXRacer chairs for overweight people? Last, but not least – Herman Miller Aeron. This is my proposition for those who are looking for a classic, elegant computer chair for overweight. 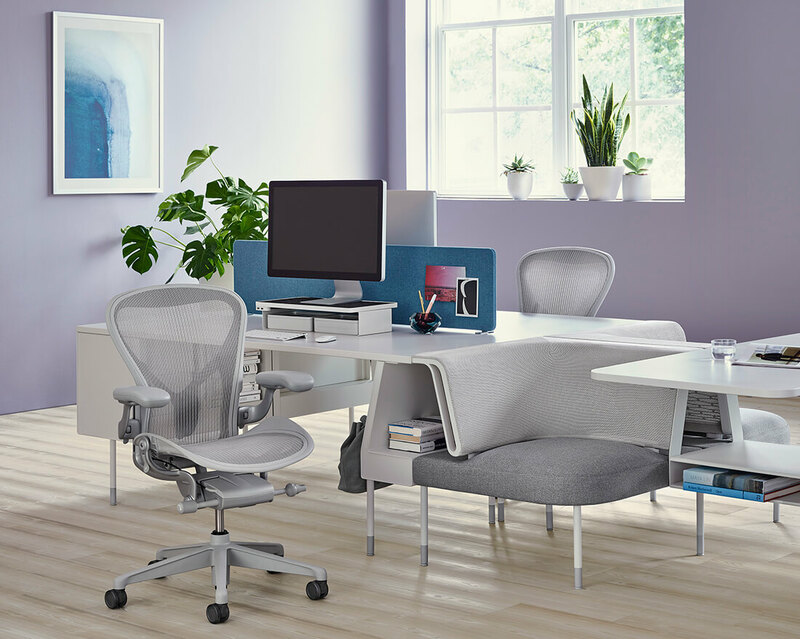 Aeron comes in three sizes, the biggest one (size C) can be a great option for heavier and taller users. 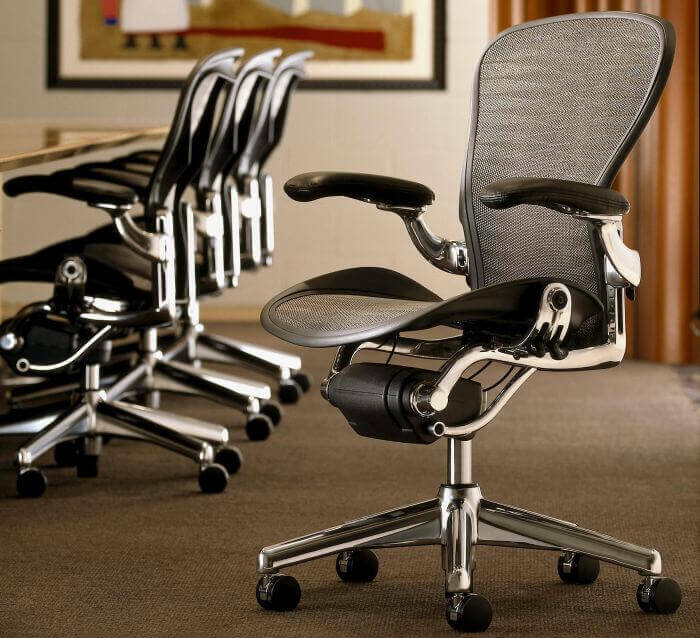 According to Herman Miller recommendations Aeron chair size C is designed for people up to 6’6’’ and 350 pounds. Thanks to such a huge customization you can create your own Herman Miller Aeron chair, just how you want it to be. And you can be sure you’ll get top-notch quality chair that will serve you for years. Nevertheless, even if you choose to order most standard version, you have to be prepared at least $800! More advanced versions (with adjustable back and arms) may even cost more than $1000! Although this chair is really pricey and not many people may afford it, I had to add it to this ranking, because lots of customers praise it for amazing quality, durability and comfort. If you want something cheaper you can check this article with cheap alternatives for Herman Miller. Need help with proper posture then Herman Miller Aeron size C will definitely satisfy you. In this ranking I presented computer chairs that have higher weight limit and can accommodate bigger users. If you want to see tther great office chairs (in wide range of styles, sizes and prices) check homepage of Officemator.com.